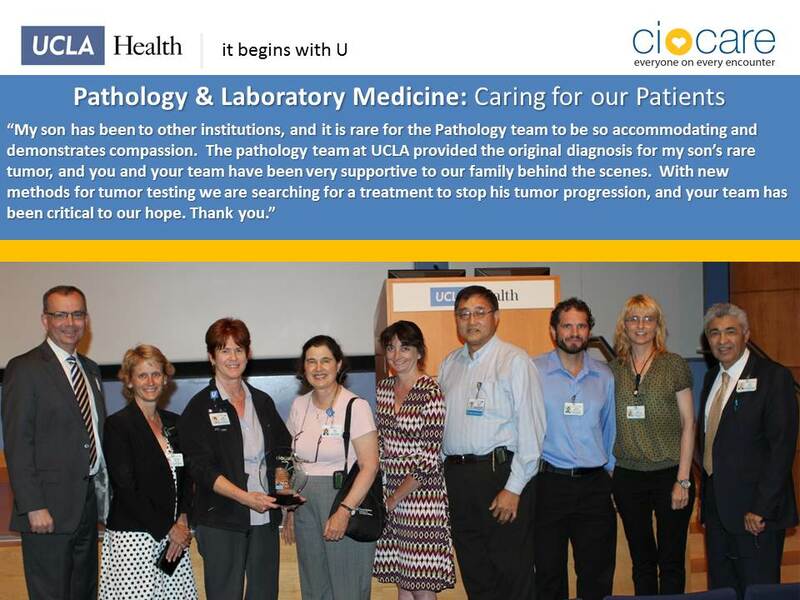 Congratulations to Pathology AP staff members for winning the CICARE Team award! This award is given to teams of employees who are recognized by patients and peers for their extra effort to fulfill our vision of healing humankind, one patient at a time, by improving health, alleviating suffering, and delivering acts of kindness. Only 6 team awards have been given in the last 4 years, so this is a true accomplishment for our staff and our Department. Thanks also to Dr. Sarah Dry for nominating our staff for this award. 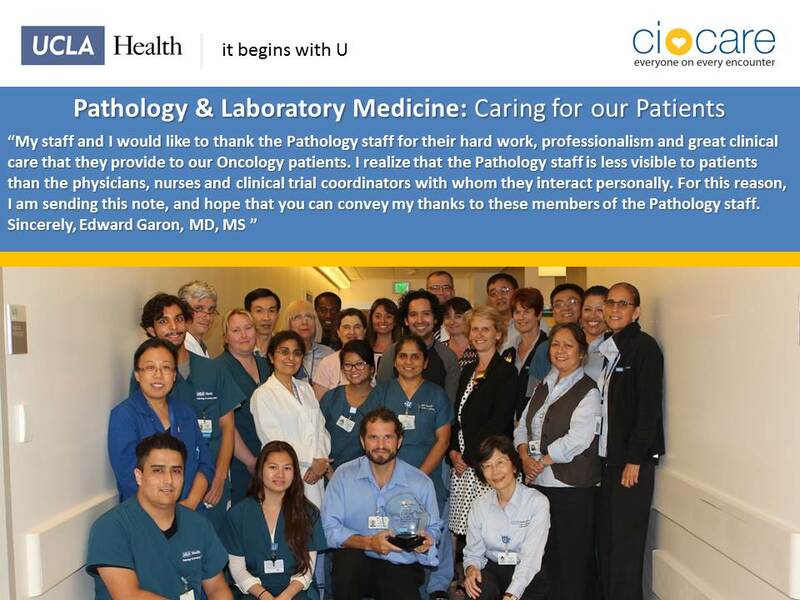 A few months ago, Dr. Dry received a thank you note from a patient’s family and a letter from Dr. Eddie Garon, one of our Oncology colleagues, expressing thanks to Pathology staff for all their hard work. The notes formed the basis for the nomination. Below are two photos taken at the event. On behalf of the Department, I want to express my utmost thanks to all the AP Pathology Staff members, for your professionalism, hard work and dedication. We are proud to have you in our Department, and your recognition is well-deserved. Pritzker Professor of Clinical Pathology & Dermatology Jonathan Braun, M.D., Ph.D.